CANCELLED DUE TO FIRES! click here to access website and message. The 18th Season of the Methow Valley Chamber Music Festival, July 24th-August 2nd, packs 23 events into ten fun-filled days of music, food, wine and great camraderie. Come see why the festival is quickly building a national reputation for both the quality of the performances as well as being true innovators in creating concert experiences that are relevant and inspiring. 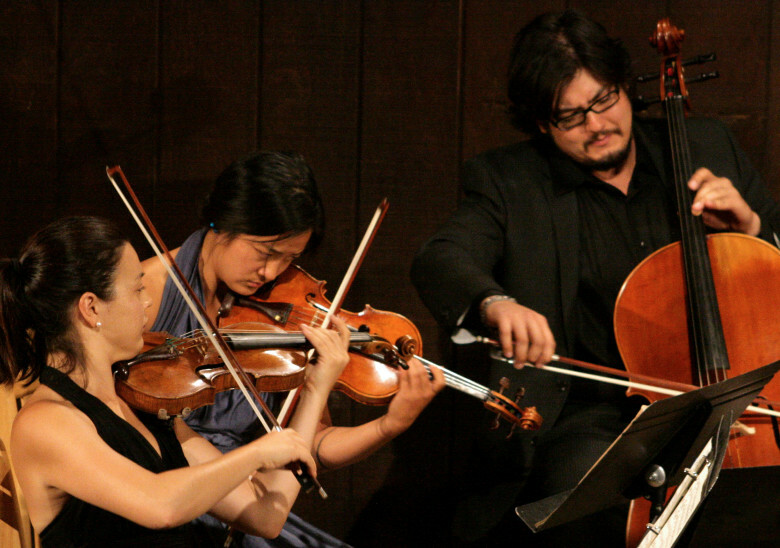 With concerts conceived to win new audiences as well as the seasoned chamber music lover, this summer’s Festival summer combines a fresh collection of artists and repertoire for a series of five main Center-Stage Concerts. Surrounding those five main events will be numerous open rehearsals, pre-concert lectures and informal performances by the Fellowship String Quartet at locations throughout the valley. Again this year the festival is pleased to present the Fellowship String Quartet, courtesy of the Betti Foundation. This quartet is composed of college students from Seattle University, hand-picked by our Artistic Director. The students will rehearse in the same building with our professional artists. As is traditional in a Festival environment, the students will be coached by the professional artists, and the students will in turn then coach local students at the Pipestone string camp. The quartet will serve as ambassadors and perform at selected locations throughout the valley. The Methow Valley Chamber Music Festival’s innovative programming and wide appeal has made it a summer destination not just for people from the Northwest, but from around the country. Artistic Director, Kevin Krentz, whose background includes rock and roll, Broadway, and Barbershop, knows that a great concert experience must speak to all the senses, and especially the heart. The spectacular acoustic setting, the fresh, invigorating outdoor atmosphere, the local wines, beers, foods and charismatic performers are sure to please just about anyone with music that is at times virtuosic, funny, intense and unforgettable.